Connecticut stayed No. 1 in The Associated Press poll on Monday after two more double-digit victories over ranked opponents. The Huskies had their closest session of the season at Baylor, finishing the then-No. 7 Lady Bears’ 69-diversion home winning streak last Monday night with a 11-focus triumph. 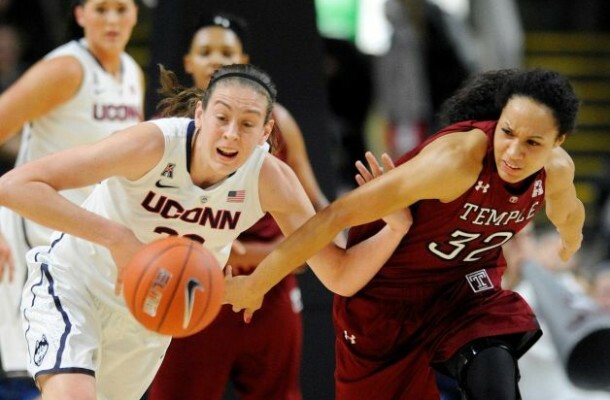 Uconn then steered Rutgers by 30 on Sunday. Notre Dame, Duke, Stanford and Louisville accompanied the unbeaten Huskies, with the first five groups unaltered in Monday’s vote. Maryland, North Carolina, Oklahoma State, Kentucky and South Carolina balance the main 10. With both Uconn and Notre Dame undefeated, it is the seventh time in the last 11 seasons that two groups have made it this far unblemished. The longest run over that extend was 2010 when Uconn and Nebraska were undefeated until the close of February. The Irish have an extremely intense two weeks before them with three way diversions against groups in the main 11 beginning with Monday night’s game at Tennessee. Notre Dame additionally visits No. 6 Maryland next Monday night before confronting Duke on Super Bowl Sunday. The Irish (16-0) have home games against Miami and Clemson in there too. West Virginia hopped in at No. 18, keeping on wining stunningly. Gonzaga rejoined the survey at No. 25 while Rutgers and Colorado dropped out. The Mountaineers (14-2), who are tied for first in the Big 12 with Oklahoma State, made their first presence of the season in the survey. Iowa State took the most amazing tumble, dropping seven spots to No. 20 in the wake of losing to West Virginia and Kansas State. The Cyclones have lost three straight in the wake of beginning the season 14-0. Florida State additionally got cleared this week, losing to NC State and Virginia. The 24th-stacked up Seminoles dropped four spots.